Our structure is such that we have separate teams for handling accounts, media, design, public relations, etc. For the most part, it’s a traditional agency structure. When terms like “social media,” and “digital marketing” and “inbound” crop up, you see a lot of start-ups and teams that focus solely on these things and do them very well. As such, a marketing agency or in-house marketing team may be inclined to build its own social, digital or inbound team. But in trying to define these things and lasso what capabilities they entail, one learns that the meaning can get big quick. Digital media…what’s that? Websites? Video? Online advertising? SEO? The thing is, within these terms, other big terms surface, and something becomes clear: It’s all marketing. To isolate digital marketing from your greater marketing function is to pull on a loose thread. You must retain an interwoven strategy. Many of the same people should be touching the same projects and working with the same understanding of your overarching marketing goals. Can you focus on your digital or social media efforts? Sure. 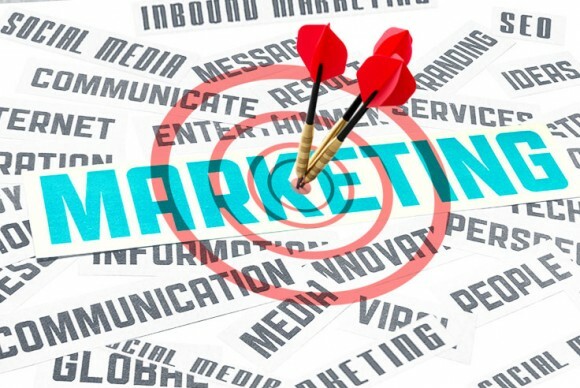 What about inbound marketing? Of course. But you’ll find that what you develop for one will bleed into others. For example, you’ll want to promote your social media profiles on print materials. Those profiles will need to drive traffic to your website. And you’ll use those profiles to promote speaking events, trade show exhibits, company news, hiring efforts, etc. No matter where you start, you’ll spin a web of content in no time. And content, as you’ve heard, is king, and will always be king. Strategically crafted content should be at the core of all your marketing activities, whether they be inbound, outbound, broadcast through social media or otherwise. No matter the medium, you’re probably trying to convey the same key proposition(s) in the end. That’s why we’ve done away with our digital marketing department. Do we still have digital marketing capabilities, offer those services and retain people that excel in that realm? Absolutely. But to separate digital marketing into its own department is a frivolous distinction for our team. The singular goal of both marketing and digital marketing is to create an enduring dialogue with customers, generate leads and create visibility. Break down the superfluous barriers and see what results you get.